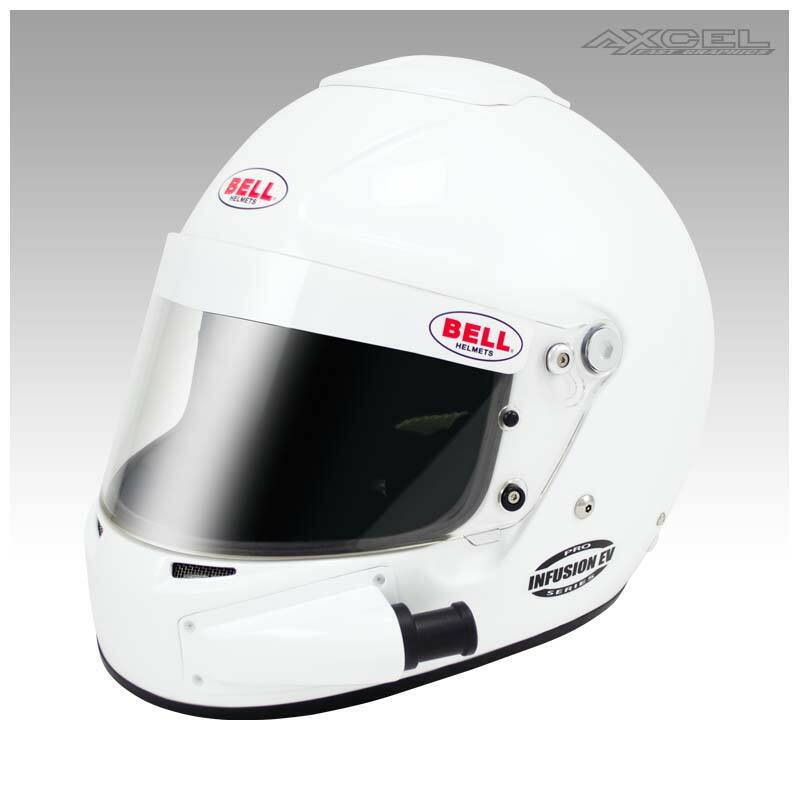 The Infusion EV features a huge eyeport (largest available in the Bell line) and builds on the versatility of the Star Infusion and BR-1 models as it can be used as a standard helmet with front and top ventilation, side air or top air model. 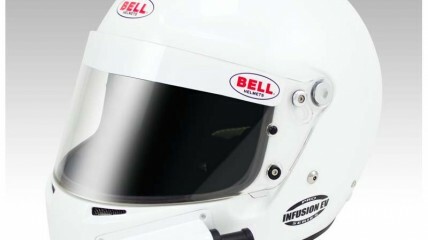 The Infusion EV is SA2010/FIA8858 certified and available in white or metallic black (Ear Cup only), sizes 7 1/8 to 7 3/4. Sold in the standard helmet configuration, the Infusion EV features a new rubber visor seal to prevent dust and dirt from entering the helmet, pro-style comfort interior and a lightweight composite shell.